We Have Great Communication: We are always available to chat and discuss your DSTv job requirements although sometimes we’re on the roof, underground or in a area with bad signal. Just know that, we will always strive to contact you back immediately after we receive your messages that might go to voice mail. Brand New Equipment On Board. Always: We always have brand new DSTv equipment on board. If you pay for new equipment, we install new equipment. Period. If for some reason we run out of stock, we will pick up new stock or arrange for another day to finish the DStv installation. We Install, Diagnose, Repair THEN Test: We dont want customers to phone us back complaining about incomplete DSTv installations or services so we will try our best to test all systems and equipment onsite, before we leave your premises. In the event where the DSTv Network might be offline (yes, this happens), we will instruct you on how to activate the DSTv service yourself (very easy) and leave you with all our necessary contact information just in case you get stuck. We will Complete the Job in a Timely Manner: We will always try and complete the satellite installation in a timely manner. Due to the nature of the industry, sometimes unexpected things happen. If the job takes a little longer than expected, you will be notified and if needed we will stay a little longer, even after hours, to complete the installation until you are 100% happy. We will Install THEN Clean Up: With big satellite installations, things can get messy. We will respect your property and before we leave the site, make sure everything is in order and your premises is left in it’s original state ie. clean. 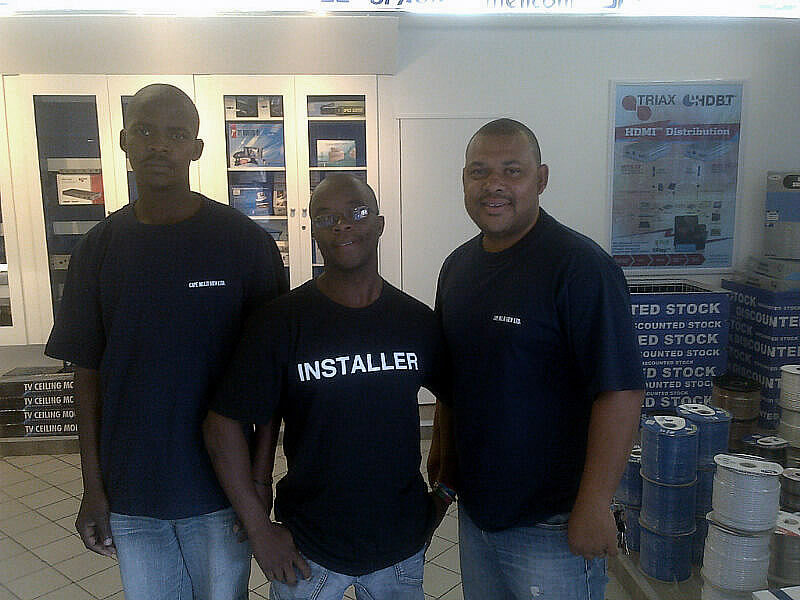 We provide a friendly and professional service in and around Cape Town. Our customers have nothing but good things to say about us and our service. Please contact us today to get your free estimate. Cape Multiview services include complete dstv installations, troubleshoot & repairs and new audio/visual system setups and cctv installation Contact us today for a FREE estimate.